Penance. That’s what this healthy afternoon tea was all about. 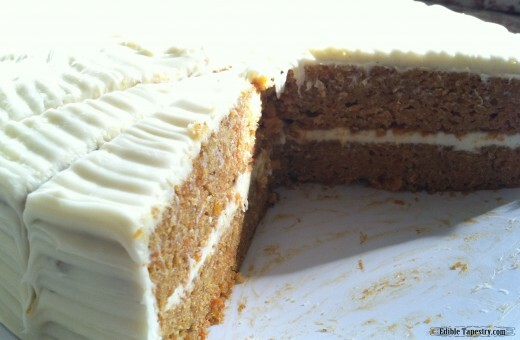 Penance for the rich, creamy, moist carrot cake that I made from A Journey of Joy’s recipe that my fitness partner and I shared during our last tea sipping visit. 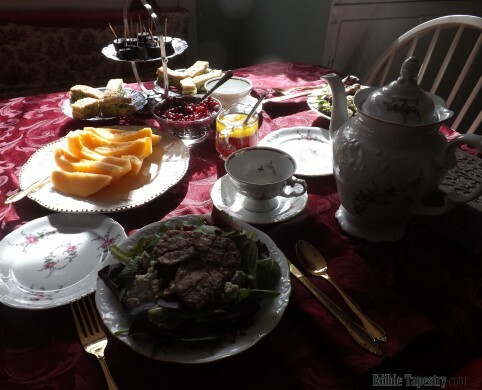 This time we were very good and had pomegranate salads, along with cucumber sandwiches, cantaloupe boats, and 90% cacao chocolate covered banana slices. And of course there was tea. I don’t think either of us were suffering without rich cake with creamy frosting. I wonder what we will have next time. Hopefully we’ll still be on track with our healthy eating. 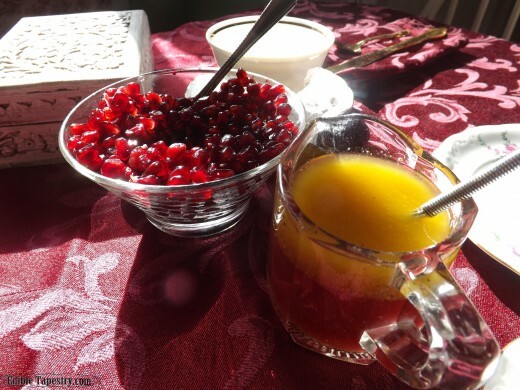 To make the dressing, combine the salt, pomegranate juice, and vinegar in a small mixing bowl. 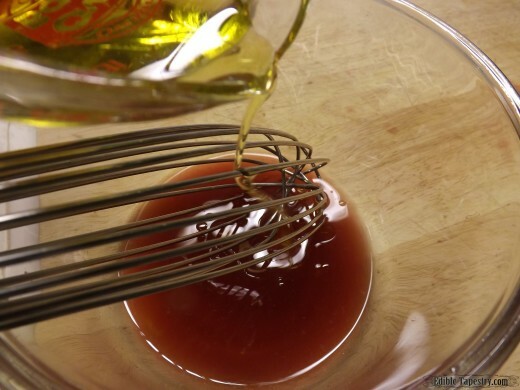 Whisk in the oil. Place the lettuce leaves in the bottom of two salad plates. 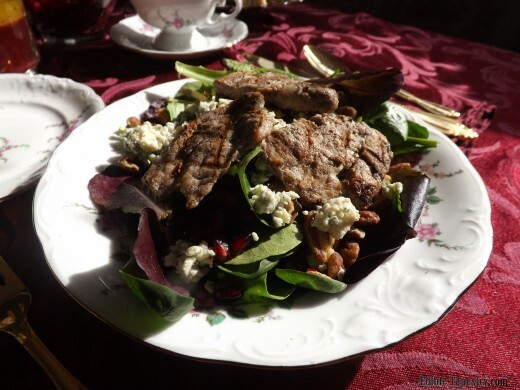 Sprinkle on the pecans, blue cheese crumbles, and pomegranate seeds to your liking. 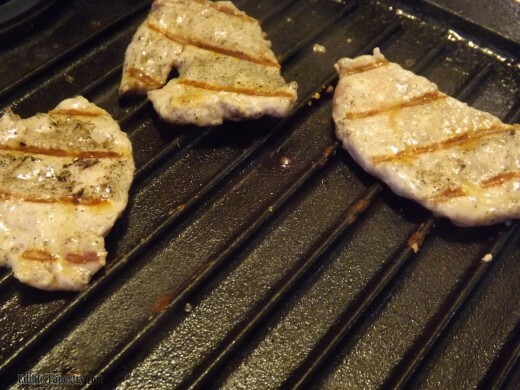 Very quickly grill the tenderloin medallions over high heat after brushing with oil and seasoning with salt & pepper. Just for a few minutes on each side until thoroughly cooked. Add them to the top of each salad, drizzle on the dressing and pour the tea! Yield: 2 entrée portions of salad. 4 servings of vinaigrette.